This article goes into comprehensive detail and explanation as to the current and even ancient understandings of what “cancer” really is on 3 different levels, from a cellular level, a molecular level and an atomic/energetic level, as well as the importance of belief and mindset when curing on the sub-atomic metaphysical, energetic level. It will discuss food and dietary cures, cellular putrefaction and corpuscle breakdown, energetic cures including healing as voltage, mind-body mirror systems, body detoxification, proper breathing and cellular oxidisation, the understated importance of mineral cell salts and the dire importance of alkaline cellular PH balance over acidic PH balance. We will cover why body cells become “cancerous” and offer information on alternative treatment remedies that have been suppressed by governments, big pharma and various cancer society cash cows who are getting rich on pretending to find cures and stand to lose billions in annual profits should alternative cancer treatment become mainstream public knowledge. At the end of this article we will give links to information regarding the suppression of cancer cures. The information in this article is based on 6 years of intensive research into alternative cancer cures. The idea is not to persuade you either way, but to let you know of the alternative options for cancer treatment that are and have always been available, despite media blackout or lack of coverage. 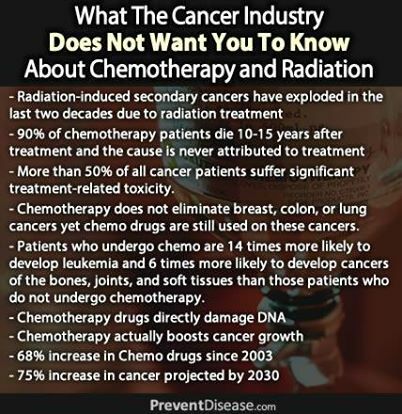 It is entirely up to you if you choose to go the route of mainstream medical treatment via chemotherapy and other drastic treatments such as radiation, which are extremely dangerous to the other healthy non-cancerous cells in the body. This would most likely be your doctor’s recommendation, but there are several good reasons why millions of people are refusing chemotherapy and radiation and going the route of natural cancer healing instead. It should be noted that there are dozens of known cures to cancer and the purpose of this article is to make the reader aware of these cures, aware of the controversy over some of the cures and other “claims” of cures which are yet unproven, so that you may start researching and making changes in your daily habits to find out which will work for you. It is your body and your disease to deal with and you deserve to be educated on all possible treatments and possibilities, not just the ones pushed by doctors and mainstream big pharma propaganda. Belief also plays a huge role on the energetic-metaphysical level, so it is important that you find a combination of cures that you feel comfortable with and believe in. You need to know what is available to make an educated decision for yourself as to which treatments will be best for you, should you decide a natural treatment path over chemotherapy. If it is your belief that you should go with a physician prescribed treatment of chemotherapy and or radiation, then at least you have all of the options and knowledge to weigh out and can feel confident about whatever decision you make, as your beliefs will always be your own and one of your best assets and strengths in fighting disease. At the very least, proper alkaline diet, breathing techniques, vitamins and mineral cell salts should be supplemented to your regular doctor prescribed cancer treatment. Barring food allergies, there are NO negative side effects to eating healthy food, juicing organic fruits and vegetables, breathing correctly and ingesting the mineral cell salt building blocks of healthy cells. There are NO adverse side effects to cutting out highly acidic foods and beverages that cause cellular breakdown and fermentation. These changes will also help combat the damage done by chemotherapy and radiation to non-cancerous healthy cells, which cannot specifically single out and target cancerous cells while leaving other healthy cells alone. What is cancer on a cellular level? According to both traditional Chinese medicine and more enlightened studies in the West, cancer occurs when a mass of cells in various tissues become so toxic and starved of organic nourishment that they can no longer “breathe” properly, i.e. they can no longer eliminate toxic wastes and absorb nutrients. Hence they literally “ferment”in their own toxic wastes, causing the cells to mutate and become cancerous “tumours”. This condition can be caused by a number of factors. The primary cause is a chronic poor diet, one heavy in cooked meats, overcooked eggs, too much sweet and or processed foods loaded with refined starches and sugars and a lack of raw, uncooked foods which provide enzymes, mineral cells salts and organic nutrients. Another major contributor to toxic cells is insufficient circulation of essence and energy (chi, orgone, prana) due to lack of exercise and shallow breathing. Chronic stress and depression also play a major role by poisoning the bloodstream with toxic by-products of adrenaline and other “fight or flight” reactions. First and foremost therapy is detoxification with a series of 7-10 day fasts or cleanses with daily colonic irrigations or salt water flushes to irrigate the colon. Thereafter a diet of raw fruit and vegetable juices is indicated. Breathing exercises are extremely beneficial to cancer patients, in conjunction with detoxification and proper organic nutrition, because they circulate the nutrients to the cells and suffuse all tissues with abundant supplies of enzymes, essence and energy (chi, or gone, prana). We will come back to breathing and detoxification methods later in this article. So long as the body has toxins stored in it’s cells and colon, the enzymes taken in new food will always go towards removing the toxins already in the colon and other storage areas in the body. If your colon is storing toxicity and waste, enzymes that might naturally go towards the cancerous cells may instead go to the normal toxic areas of the colon and the cancer cells won’t get the energy and nutrition they need to heal. After the body has been detoxed with a cleanse or detoxification program, here are what the ancient Chinese Taoists have been using for thousands of years to cure cancer. It should be noted that cancer behaves as a pleomorphic fungus and cannot survive in a body that has an alkaline PH balance. It needs an acidic PH balance in order to continue to putrefy and grow. More on PH balance later in this article. The one thing all of these alternative cancer cures have in common is that they load the body with foods, mineral cell salts, spices, herbs and other agents which are extremely alkaline in PH balance when digested by the body. No matter which cancer treatment you decide to go with, it is vital that you cut out the acidic foods from your diet immediately and only starting eating foods and raw juices that are digested with an Alkaline PH balance. These highly acidic PH balanced foods are the contributing factors to the growth and spread of the cancer. You should avoid all animal products, especially animal proteins and fats, i.e. no cooked meats, no foods high in fat, eggs, milk, cheese, dairy, etc. You should cut out all refined sugars and starches, carbohydrates like bread, pasta, rice and pastries. Cut out acidic oils and vegetable oils such as corn oil. Fish oils are the exception, more on this later. Alcohol is high in sugar content and extremely acidic and should be avoided at all costs. Coffee and dark non-herbal tea should be avoided, most especially with milk, cream or sugar added in. Drink only lighter herbal teas, ginseng, etc. Stay away from heavily salted foods and cured products. Eat ONLY fresh, raw organic fruit, vegetables, legumes, juices, extracts, herbs and spices. Carrot Juice: This is perhaps the best vegetable juice for detoxifying tissues. It also helps alkalise the bloodstream, which in cases of cancer and toxemia is always highly acidic. Raw carrot juice delivers abundant supplies of readily assimilable vitamins, minerals and enzymes to diseased cells, giving them the fuel they require to sluff off wastes and rebuild cells. Jay Kordish, the then 75 year old who promoted raw juice diets in America, was cured of bladder cancer at age 25 with a blend of raw carrot and apple juice, taken a glass at a time every hour, 13 times a day under the supervision of the great raw juice therapist Dr. Max Gersen. Drink at least 1.5 quarts freshly extracted raw carrot juice daily, in conjunction with breathing and other exercises, for as long as therapy is required. It is important that you squeeze or juice fresh, organic carrots daily. NEVER use store bought juices. Store bought juices are pasteurised under extreme heat which ruins all of the enzymes, minerals, vitamins and essence from the vegetables and fruits. Cabbage Juice: Fresh, raw cabbage juice has been proven to cure severe ulcers in the stomach, duodenum, and intestines. As such, it is also an effective therapy for cancers of the stomach and intestinal track. High concentrations of organic chlorine and sulphur in raw cabbage cleanse the mucus membranes of the stomach and intestinal tract, where cancerous tissues often form. It is generally recommended to take cabbage juice in combination with raw carrot juice, due to it’s strength. 4 ounces cabbage juice mixed with 8 ounces carrot juice, three times daily. Remember, freshly juiced, not store bought. Raw Beet Juice: Beet juice is highly beneficial as a liver detoxifier and blood cleanser. In cases of cancer, therefor, it purifies the bloodstream so that the blood can do it’s work of detoxifying the body and delivering nutrients to starved cancer cells. By detoxifying the liver, it promotes clean blood, which is filtered by the liver. Also indicated in cases of liver cancer. 8 ounces of pure beet juice, twice daily. Another option is 6 ounces of beet juice mixed with 6 ounces of carrot juice, 3 times daily. Tablets and dry crystals of pure beet juice extract are also very good. There are hundreds of foods, herbs and spices that are known for their cancer curing and preventing properties, such as garlic, turmeric, cabbage, soya beans*, onions, carrots, tomatoes, all green and yellow vegetables, citrus fruits, fatty fish, herbal tea, seafood, cruciferous vegetables and dark leafy legumes, cabbage, broccoli, collard greens, etc. What these all really have in common is that they are loaded with one or more of the 12 organic mineral cells salts and they are all highly Alkaline in their PH balance when digested by the body, not Acidic. Even though citrus fruits have citric acid, they are still digested as Alkaline PH in the body. You want to cut out foods from your diet that are checked with red, dark yellow or yellow on the chart in the link above. These foods are highly acidic in PH balance. Cancer cannot survive in a well oxygenated environment with an Alkaline PH balance. Start eating and juicing raw foods that have checks in the light green, green and dark green on the above chart. The darker the green, the more Alkaline PH and the more cancer fighting properties the food has. All of the body’s cells are made up of combinations of the 12 basic mineral cell salts and are activated in fusion by the mineral salt Iron Phosphate, also known as Ferrum Phos. In the presence of an Acidic PH level, stress, toxins, lack of proper oxygen supply and other conditions the fluids of the body and blood become depleted in Iron (Iron Phosphate, Ferrum Phos) and three forms of Potassium known as Kali Sulph (Sulphate of Potassium), Kali Phos (Potassium Phosphate) and Kali Mur (Chloride of Potassium). In cases of stomach cancer, Natrium Phosphate (sodium Phosphate) will also be lacking. When this happens, the corpuscles of the body slowly suffocate and “putrefy”. THIS IS THE TRUE CAUSE OF CANCER on a biochemical level. Without Iron, cellular combustion can not go on in the body. A mix of the correct mineral cell salts and Iron are the legitimate cure for this putrid and virulent disease. Normally these mineral cell salts and Iron are abundant in raw, uncooked fruits, vegetables, legumes, herbs and certain spices. Most modern diets are lacking in these things or the modern body is too Acidic in PH and lacking proper nutrients and oxygen to perform cellular combustion, hence putrefaction of the cells. Table salt (sodium) is not a healthy salt and should be avoided. These are mineral cell salts which make up the parts of the body’s cellular tissues, table salt is not one of the recommended cancer fighting salts and the grains are too course to be assimilated into the cells unless specially prepared and crushed in micro homeopathic quantities. It cannot be overstated that it is essential when fighting cancer to supplement your diet with the following mineral cell salts to replenish the putrefied cells and get corpuscle combustion started. These mineral cell salts can be found in your local health store in tablets that can be chewed or easily dissolved in water or herbal tea and drank. They should all be taken together, three times daily with the prescribed amount of tablets listed on the bottles. these forms of Potassium mixed with Iron is the biochemical cancer healing agent. The American National Cancer Institute says that 1/3rd of all cancers are linked to diet. British expert Richard Doll put the figure as high as 60%. It can’t be argued. Ever since scientists started probing a connection between cancer and diet in the 1970’s, the antidote has been coming up “fruits and vegetables” consistently and relentlessly. There is an energetic relationship on an atomic level, a layer underneath the cellular level, which we will cover later in this article. Dr. Peter Greenwald, a director of the Division of Cancer Prevention and Control at the American National Cancer Institute said “The more fruits and vegetables people eat, the less likely they are to get cancer, from colon and stomach cancer to breast and even lung cancer. For many cancers, persons with high fruit and vegetable intake have about half the risk of people with low intakes“. A review of 170 studies from 17 different nations by Dr. Gladys Block of Berkley came up with the same conclusion: people who eat the most fruits and vegetables compared to those who don’t slash their risks by 50%. This includes cancers of the lungs, colon, breast, cervix, oesophagus, oral cavity, stomach, bladder, pancreas and ovary. Some studies who that eating fruit and vegetables just twice a day, rather than less than three times a week cut the risk of lung cancer by 75%, even in smokers. Garlic, Cabbage, Liquorice, Soya Beans, Ginger, Carrots, Celery, Parsnips, onions, herbal tea, turmeric, citrus fruits like oranges, grapefruit, lemon, lime, whole wheat, flax, brown rice, tomato, aubergine, peppers, broccoli, cauliflower, brussels sprouts, oats, mint, oregano, cucumber, rosemary, sage, potato (raw uncooked), thyme chives, cantaloupe melon, basil, tarragon, barley, shiitake mushrooms, yoghurt and dark berries. If you must eat meat, it is recommended to eat oily fish such as mackerel over lean fish. Oil fish are loaded with Omega-3 oils thought to help block cancer. when you compare these foods to both the list of Alkaline foods in the link earlier in this article, along with a list of foods that contain Iron and the three various Potassium mineral cells salts, it is no surprise that the majority of these plant foods turn up on both of those lists as well. It is the combination of the mineral cell salts, Alkaline PH value and various other vitamins and natural compounds in these foods that heal cancer. Breathing, exercise and stress relief also play a vital role along with nutrition. It should be noted that cooking any vegetables or fruits over 60 celcius destroys the enzymes (chi, or gone, prana, life energy) and depletes much of the minerals and other compounds, leaving them nutritionally void and worthless. If you must cook them, quickly flash fry them asian/mongolian style for less than a minute so that the insides are still raw and crispy, even if the outsides are warm and nutrition less. Steaming vegetables is the same, they should still be raw and crunchy on the inside. Flash steam them, do not long steam. These plant foods contain other cancer fighting vitamins and compounds such as Vitamin A, Carotene, Vitamin C, Vitamin D, Riboflavin, Calcium, Folic Acid, Lycopene, Diallyl Sulphide, Quercetin, Ajonene, triterpenoids in liquorice and Beta Carotene. Garlic and onions have over 30 carcinogen fighting compounds in them. Lung Cancer: Carrots and dark green leafy vegetables, any yellow-orange vegetables or fruits, the deeper orange the better, broccoli, spinach, kale, dark green lettuces, collard greens, brussels sprouts, pumpkin, sweet potatoes, green tea, beans and low-fat milk. Colon Cancer: Cruciferous vegetables and carrots. Here are some of the main cruciferous vegetables: http://www.thefreedictionary.com/cruciferous+vegetable Wheat bran, vegetables, cabbage, broccoli, cauliflower, yoghurt, seafood, foods rich in fibre, calcium and vitamin D. Stay away from high-fat foods, red meat and alcohol. Oral, Oesophageal and Pharyngeal Cancer: Fruit. Laryngeal Cancer: Fruit and vegetables, foods high in carotene such as carrots, sweet potatoes, green leafy vegetables, pumpkin, etc. Stomach Cancer: Fruit in general, lettuce, onions, tomatoes, celery, squash-raw, not cooked, cabbage, herbal tea, garlic, onions, soya beans, fruits and vegetables rich in Vitamin C. Stay away from table salt, cured and smoked meats. Pancreatic Cancer: Fruits and vegetables, especially citrus, tomatoes and legumes. Stay away from cured pork products like bacon, ham and cold cuts and red meat. Bladder Cancer: Vegetables, specifically carrots and also fruit. Breast Cancer: Fish oil, cabbage, collard greens and other cruciferous vegetables like broccoli, high vitamin C fruits and vegetables, beans, wheat bran, olive oil. It is recommended to stay away from meat, saturated fatty foods, Omega-6 vegetable oils such as corn oil and alcohol. Skin Cancer: eat foods containing antioxidants and rich in Omega-3 type oils, such as oily fish. Stay away from oils with Omega-6 fatty acids, including corn oil, safflower oil and sunflower oil. Too much Omega-6 in proportion to Omega-3 kicks the prostaglandins into overdrive, encouraging the onset and growth of tumours. In study of mice, showed oils high in Omega-6 spurred the growth of melanoma. Another study showed patients with skin melanoma ate twice as much Omega-6 poly-unsaturated oil as a similar group without cancer. Endometrial Cancer: Carrots, spinach, broccoli, cantaloupe melon, lettuce and other foods high in carotene. Also calcium rich foods reduce the risk greatly, though be sure to get alkaline ph calcium foods over too much acidic. Cervical Cancer: Foods high in folic acid (a B vitamin) such as greens, dried beans. Foods high in lycopene such as tomatoes. These foods can stop the virus that leads to 80% of the cases of cervical cancer. Prostate Cancer: Fatty diet seems to be the culprit in prostate cancer. A low-fat, high alkaline diet is prescribed. Stay away from high fat milk, cheese, eggs and meat, especially fatty meat. Apricot seeds contain high doses of laetrile, also known as Vitamin B-17. It is banned by the FDA because like many other foods it contains Amygdalin, believed to be a cyanide poison threat. However it is a known alternative cancer cure and there are entire villages in Tibet and other countries that eat vast amounts of apricot seeds and other berry seeds rich in Amygdalin, with no history or reported cases of cyanide poisoning. Amygdalin contains four substances. Two are glucose, the third is benzaldehyde, and the fourth is cyanide. Yes, cyanide and benzaldehyde are poisons if they are appear as free molecules not bound within other molecular formations. Many foods, including vitamin B12, contain cyanide. But they are safe because the cyanide remains bound and locked as part of another molecule. There is an enzyme in normal cells to catch some free cyanide molecules and render them harmless by combining them with sulfur. That enzyme is rhodanese. By binding the cyanide to sulfuric rhodanese, it is converted to a cyanate, which is a neutral substance. Then it is easily passed through the urine with no harm to the normal cells. Cancer cells thrive on fermenting sugar instead of metabolizing with oxygen. Amygdalin contains two glucose molecules. So the amygdalin molecules are quite appealing to sugar hungry cancer cells. And cancer cells contain an enzyme that normal cells do not share, beta-glucosidase. This enzyme is considered the unlocking enzyme for amygdalin molecules. It releases both the benzaldehyde and the cyanide, creating a toxic synergy that destroys cancer cells. The cancer cell`s beta-glucosidase enzyme causes cancer cells to self destruct by opening themselves to the cyanide and benzaldehyde. This is how cancer cells are tricked and targeted by amygdalin. Chemotherapy does not discriminate. It kills healthy cells and destroys one`s immune system. Though the author of this article would definitely take them, it is not legal to recommend them and they must be purchased through the internet in most countries. Here are some links to get you started on your own research into this matter so you can form your own educated opinion about using laetrile and amygdalin rich foods and supplements. 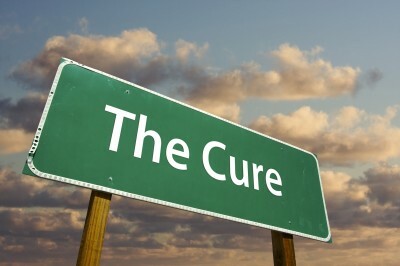 The release of the Rick Simpson documentary “Run from the Cure”, coupled with the advent of Youtube, Vimeo and the internet itself has exploded the cannabis cancer treatment debate on the scene. There are hundreds of thousands of articles and videos with cancer success cures using both cannabis oil and juiced cannabis. Obviously the major concern is that cannabis is illegal by most governments in most places. Despite it being one of the most effective cancer treatments known, it gets very little attention by mainstream media and mainstream medical journals because it is both illegal and big pharma definitely does not want people to know how effective this treatment is. It is up to you wether the legal risk is worth the health risk, depending on where you live, how you get it, grow it, etc. This article will give you a few links on where to start researching cannabis cancer treatment and links to recipes for making cannabis oil yourself, should this be the route you choose to go. The psychoactive ingredient THC is NOT active unless heated and smoked or cooked in a certain way with butter and other fats to activate the THC. In other words both cannabis oil and raw eaten or juiced cannabis do not get you high. Cannabis is one of the most alkaline PH balanced plants there is and there are plenty of articles and videos on the anti-tumor effects of cannabinoid receptors. It has been a cure all miracle plant for cancer and hundreds of other diseases by both ancient and indigenous cultures for thousands of years. It really does make one question the true motives by corporate controlled governments to keep this plant listed as an illegal substance. There is a huge debate going on whether or not cancer cells are a result of the body defending itself from the fungus given by Candida, a yeast-like organism living in the body in small amounts. Cancer behaves like a fungus, whether or not it actually is one or not. Some say fungus and putrefied, acidic, toxic cells are pretty much the same thing. They at least go hand in hand. As usual, this is another controversial treatment. There are plenty of testimonies and documentaries on the internet to research. One thing is for sure, Sodium Bicarbonate can eliminate Candida, and Candida can definitely lead to cancer if untreated. It should be pointed out that “baking soda” is not actually only Sodium Bicarbonate, though Sodium Bicarbonate is the main ingredient in Baking Soda. Some baking sodas have heavy metals and other toxic things in them. If you are going to do this cancer treatment or prevention, make sure you check the label of your baking soda to make sure there are no other toxic additives. If possible, get pure Sodium Bicarbonate from your local pharmacist or health store. Sodium Bicarbonate is highly Alkaline in PH and also helps in the body’s production and release of it’s own potassium, as well as keeping the body’s organs in Alkaline PH balance. These are the reasons this author recommends looking into this treatment seriously. Besides that, it’s cheap. Saliva is produced in and secreted from salivary glands. The basic secretory units of salivary glands are clusters of cells called an acini. These cells secrete a fluid that contains water, electrolytes, mucus and enzymes, all of which flow out of the acinus into collecting ducts. Within the ducts, the composition of the secretion is altered. Much of the sodium is actively reabsorbed, potassium is secreted, and large quantities of bicarbonate ion are secreted. Bicarbonate secretion is of tremendous importance to ruminants because it, along with phosphate, provides a critical buffer that neutralizes the massive quantities of acid produced in the forestomachs. Small collecting ducts within salivary glands lead into larger ducts, eventually forming a single large duct that empties into the oral cavity. parotid glands – produce a serous, watery secretion. submaxillary (mandibular) glands – produce a mixed serous and mucous secretion. sublingual glands – secrete a saliva that is predominantly mucous in character. serous cells, which secrete a watery fluid, essentially devoid of mucus. mucous cells, which produce a very mucus-rich secretion. Bicarbonate ions in saliva act as buffers, maintaining a pH between 6.5 and 7.5. Sodium Bicarbonate is made in the stomach. For every molecule of sodium bicarbonate produced in the stomach, an equal amount of HCL is produced. HCL acid is a waste product of sodium bicarbonate production. The formula is NaCL + H2O + CO2 = NaHCO3 + HCL. The sodium bicarbonate in the stomach creates even more alkalization of the food in the stomach and prepares it to be transformed into stem cells in the small intestine. The HCL acid falls into the gastric pits away from the food. The normal pH of the stomach with food is 7.2 or higher. Yes, you can drink alkaline water with your meals to buffer or neutralize the poisonous HCL. Pancreatic juice contains sodium bicarbonate which neutralizes the acidic material from the stomach. They also secrete urogastrone, which inhibits parietal and chief cells of the stomach from secreting acid and their digestive enzymes. This is another form of protection for the duodenum. They are the distinguishing feature of the duodenum, and are named for the Swiss physician who first described them, Johann Conrad Brunner. Bile has a golden colour and is nearly isotonic with blood plasma. The bile contains NaCl and bicarbonate in concentrations similar to those of plasma, but the bile contains more Ca2+ (bound to bile acids) than plasma. We normally produce 0.5-1 litre of hepatic bile per day with bile salts, lecithin, cholesterol and 1.5 g of bile pigments. The liver secretes bile, which is stored in the gall bladder between meals. During digestion, bile is excreted along the bile duct (from the gall bladder) and the hepatic duct (from the liver) into the duodenum (the first part of the small intestine). Bile is an aqueous mixture containing several substances, including bicarbonate ions to neutralize the acidic chyme arriving from the stomach, and bile salts to emulsify fats in the first stage of their breakdown. Bicarbonate ions neutralize the acid conditions required for chronic inflammatory reactions. Hence, sodium bicarbonate is of benefit in the treatment of a range of chronic inflammatory and autoimmune diseases. Sodium bicarbonate is a well studied and used medicine with known effects. By areyousure12 in Esoteric Interests, Exposed, Health, Uncategorized on May 16, 2014 . A wonderful & informative article, I couldn’t agree more with John’s sentiments.